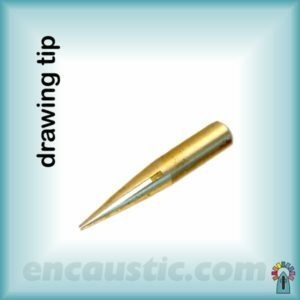 The drawing tip is a split nib which enables creation in molten wax colours of lines, spots or any drawn shape with any type of shading or blending. 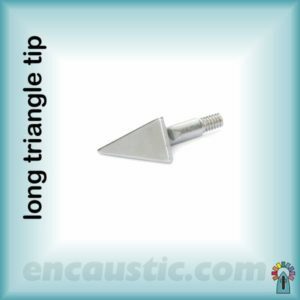 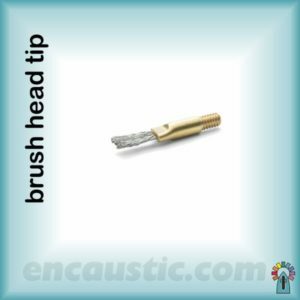 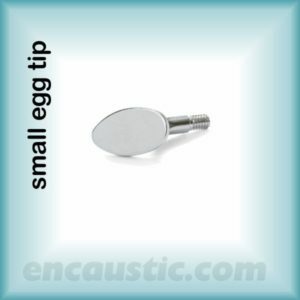 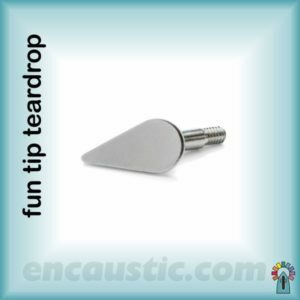 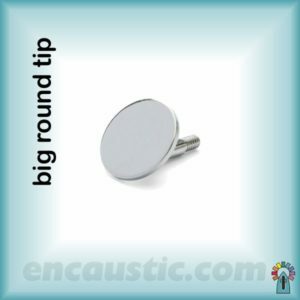 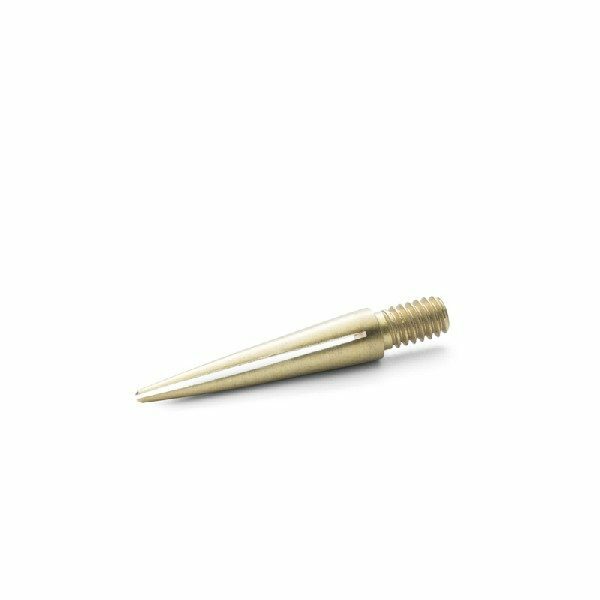 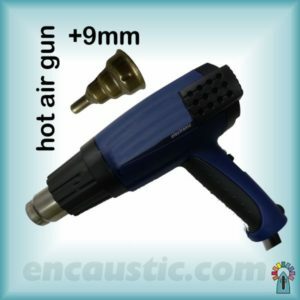 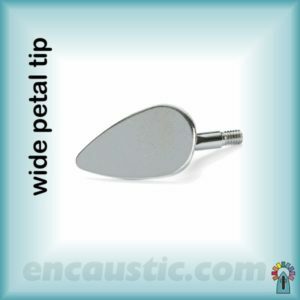 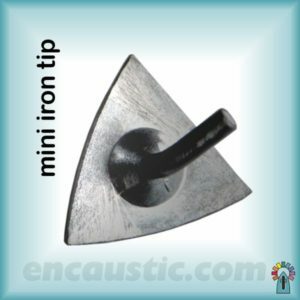 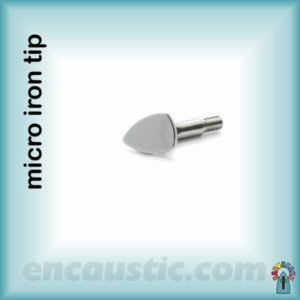 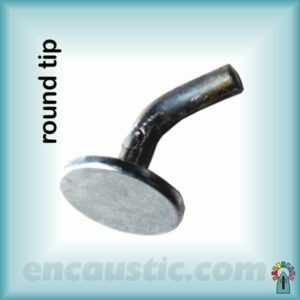 It is threaded to fit the encaustic art Stylus Pro wax graphics tool, and accompanies that tool when purchased, as one of the standard tips. 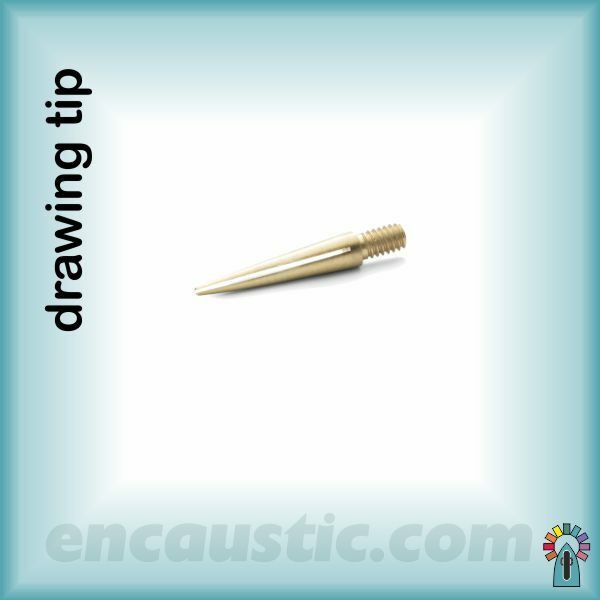 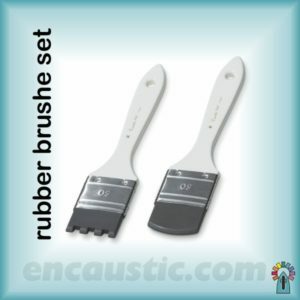 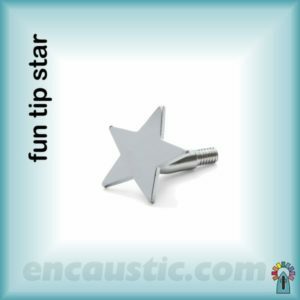 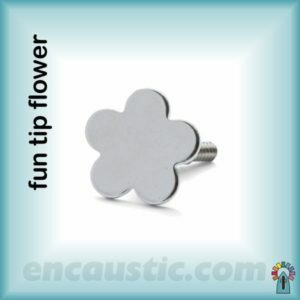 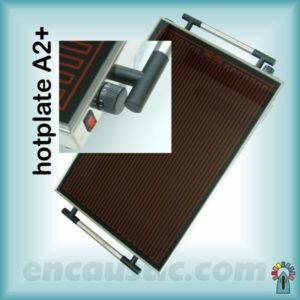 If you want controlled graphical ability in encaustic art then this is the tip to use. 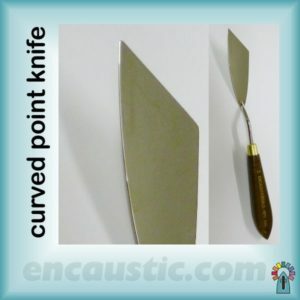 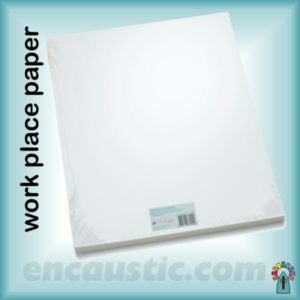 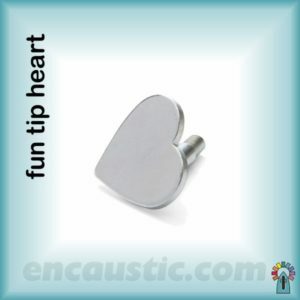 Great for getting inside bigger pieces of work or for creating from scratch. 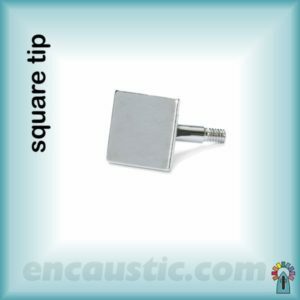 A lower temperature slows wax flow, makes the wax thicker and enables sharper edges to occur. 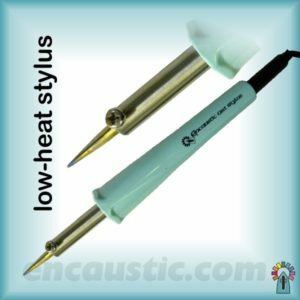 For blending and colouring-over with molten wax a warmer tip allows faster working.